This is the first legitimate Independent Pro Wrestling Show to return to Abilene in over 30 years. 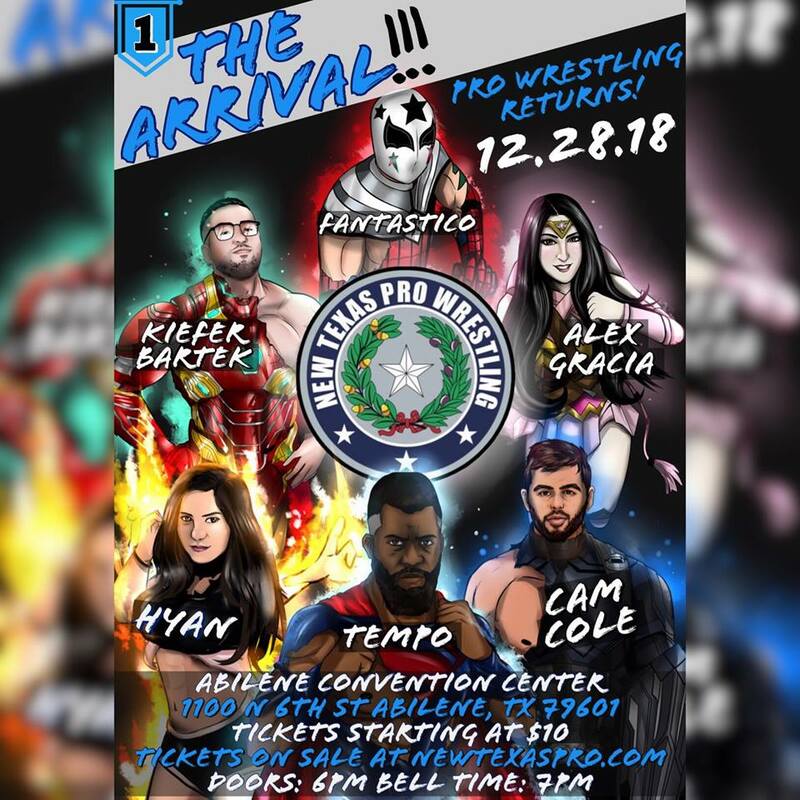 Since the days of Don “The Lawman” Slatton, The Von Erich’s, The Funks, and many more, top notch, high level, family friendly wrestling hasn’t been to Abilene in some time. With the blessing of the daughter of Don “The Lawman” Slatton, New Texas Pro will continue his legacy and bring the very best pro wrestling that Texas has to offer right to the Key City, on December 28, 2018 at the Abilene Convention Center. A Texas Sized Battle Royal! The inaugural Don ”The Lawman” Slatton Invitational Battle Royal!